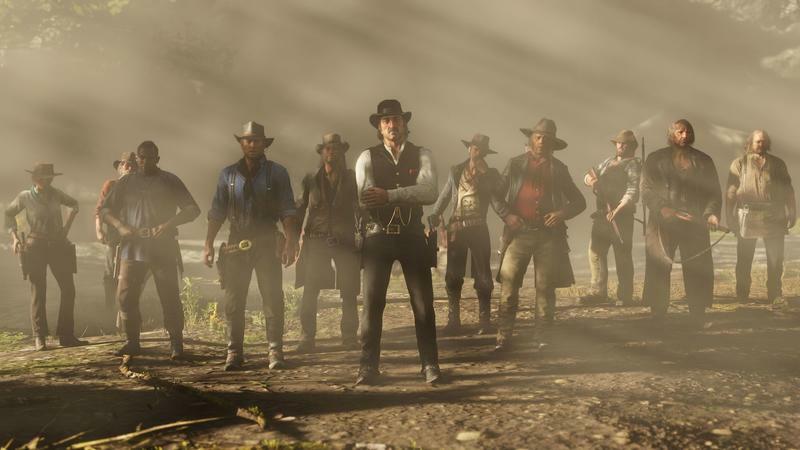 Red Dead Redemption 2 is huge. It's sprawling. It's epic. 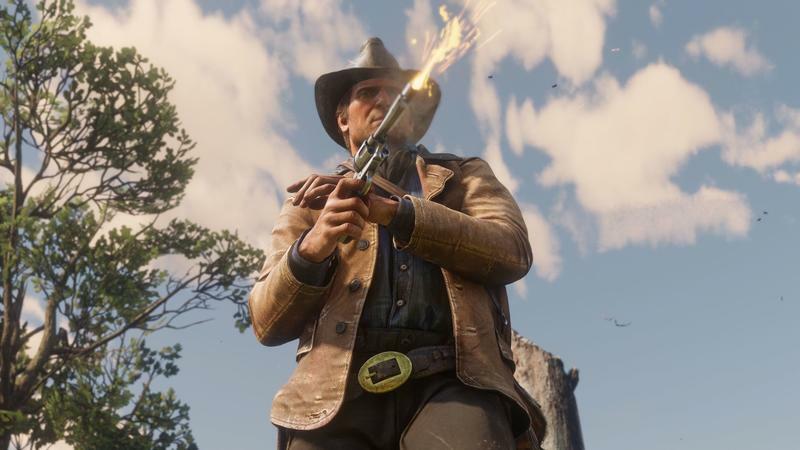 And our pre-release code, provided by Rockstar, rolled in late Tuesday afternoon. Instead of trying to pack an entire game into two days before dying of exhaustion, we thought about our approach to the game. We want to take it slow and break it down. 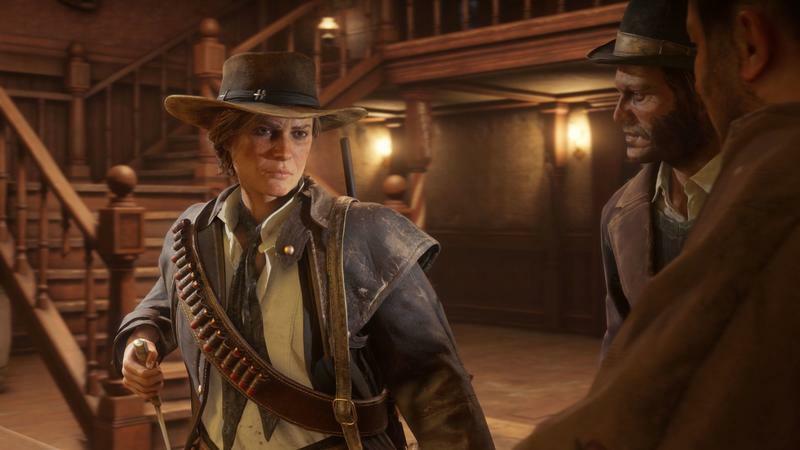 So we're starting with a look at our first 12 hours of gameplay in the world of Red Dead Redemption 2. 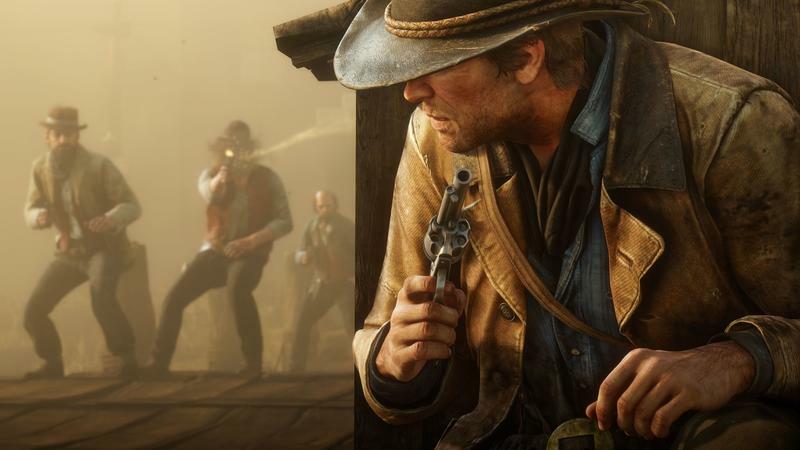 Some of this might change as we get deeper into the game, and some of it might spawn into bigger pieces, so keep an eye out for coverage. But without further ado, here's what I've seen so far. 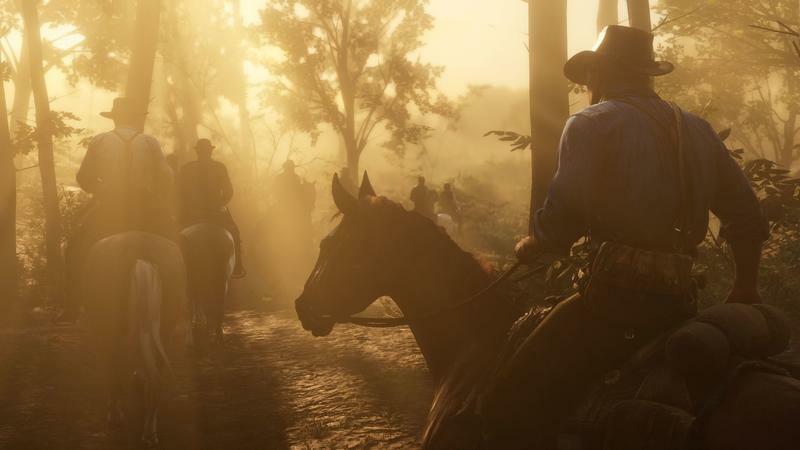 While Red Dead Redemption 2 has quite a few similarities to its predecessor, it's a very different game with a different feel. 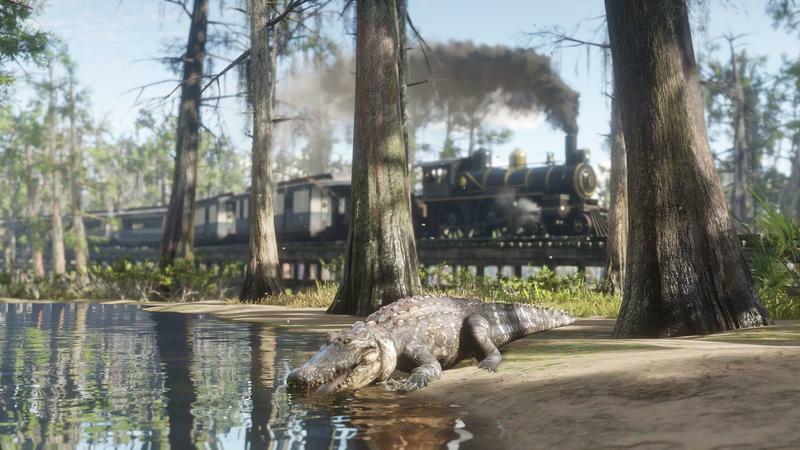 Everything about this game feels grounded more heavily in reality, from the visuals to the way characters and animals move. 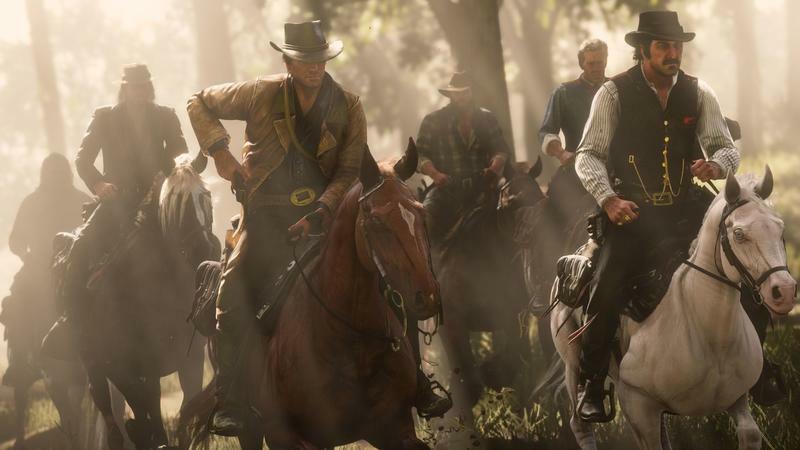 Getting it to move quickly feels a bit like every character you've ever watched try to push a skittish horse somewhere in a movie. 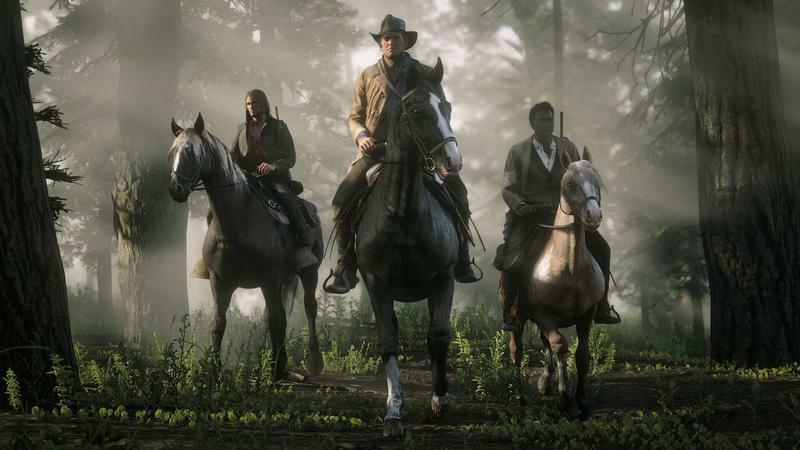 Protagonist Arthur Morgan's default movement speed on foot is walking and his default speed on horse is a slow trot. Everything about Morgan is cantankerous and heavy. The thing is that, for the most part, this fits the world. 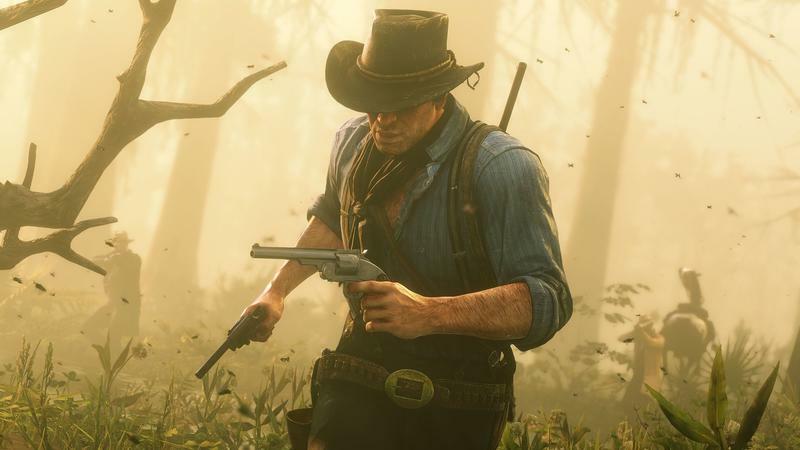 The world itself moves at Arthur's speed unless someone starts firing a gun. 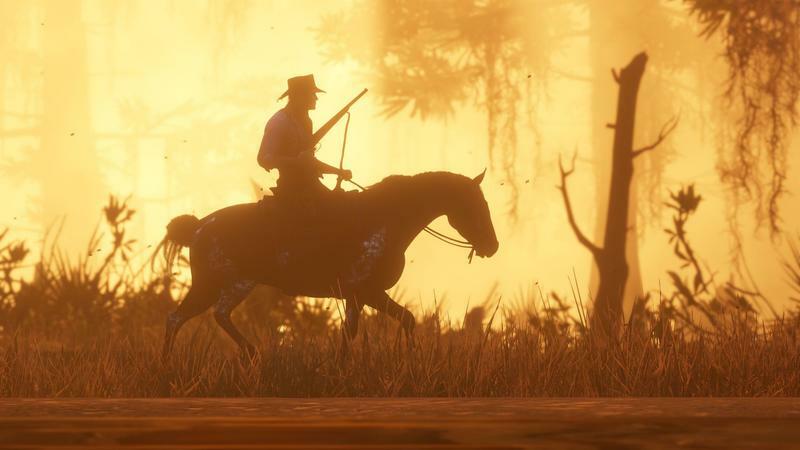 Red Dead Redemption 2 doesn't want you to gallop through it at top speed, but rather to live in it. And when I did stop and watch, the world looks incredible. 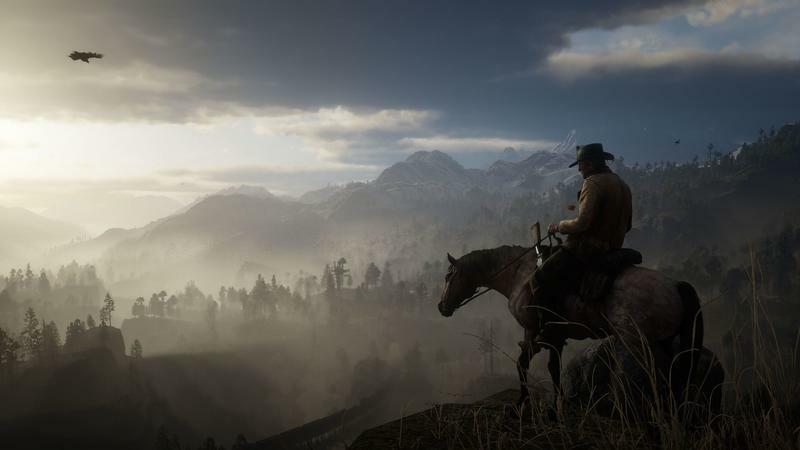 Rockstar has gone to unimaginable lengths to make the world of Red Dead Redemption 2 feel not just plausible or believable, but real. Anywhere I would pause to watch the world go by, it felt like the world really was going by. 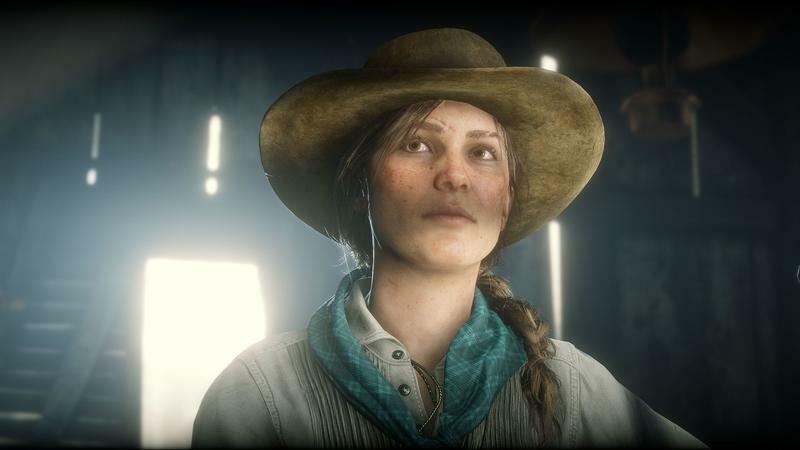 The level of detail in absolutely everything is astounding. What I found out quickly, though, was that this is a role-playing game. Just not the kind you're probably thinking of. You won't be leveling up stats and skill trees. 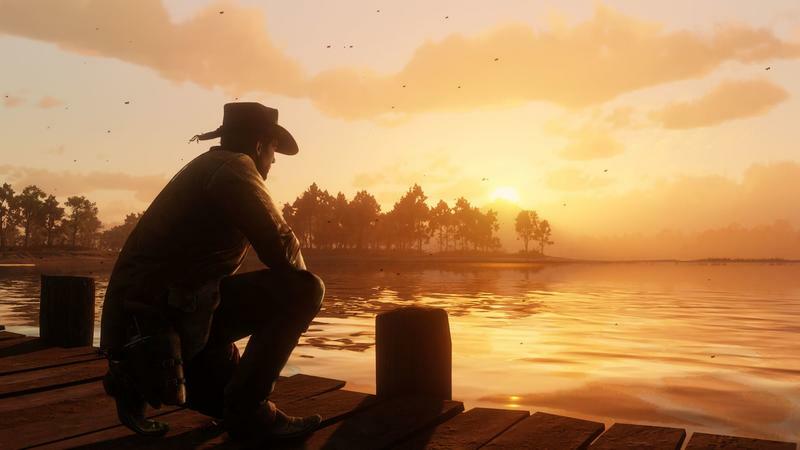 In most role-playing games, the idea is that the world reacts to you. Look at games like The Witcher III and Divinity: Original Sin as a couple examples of this. Here, it feels more like I'm being asked to react to the world. 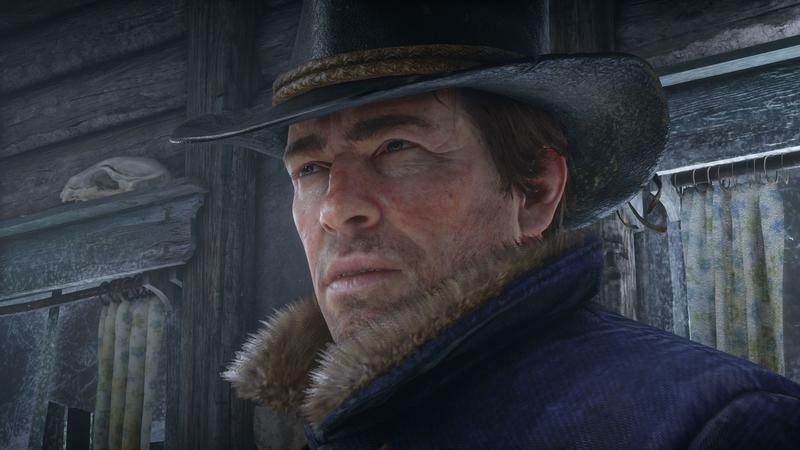 To not just play as Arthur Morgan, but to play the role of Arthur Morgan as prescribed by the game and story. If I try to move faster than the game wants me to, it gets in my way. If I try to act silly, the illusion starts to break down. There's a lot of illusion to participate in, but you have to participate in it. You have to take a bath sometimes, you have to brush your horse sometimes. In one particularly frustrating instance, a guy on a cliff waved me over. I stopped just a moment too late and nudged him. I didn't even knock him over. 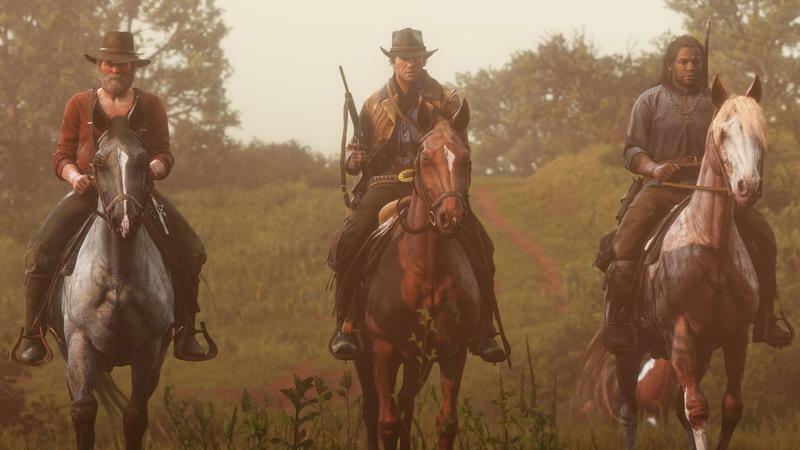 But instead of being given a chance to de-escalate the situation or getting some comment like, "hey I think your horse is a little too friendly, pardner," the guy just shot my horse, Barry, The Fastest Horse Alive, killing it. That's how a video game character reacts, not a real person, and it was a frustrating moment. 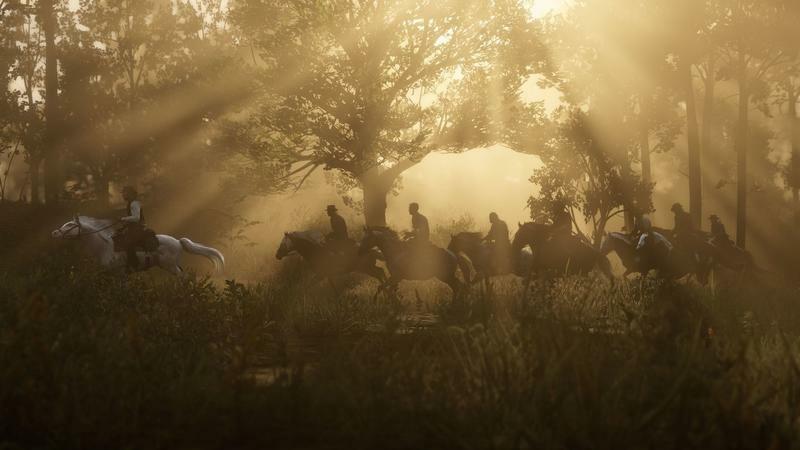 When a horse dies in this game, that horse is dead. You gotta walk to down and get a new one. Or commit the unforgivable crime of Grand Theft Equine. 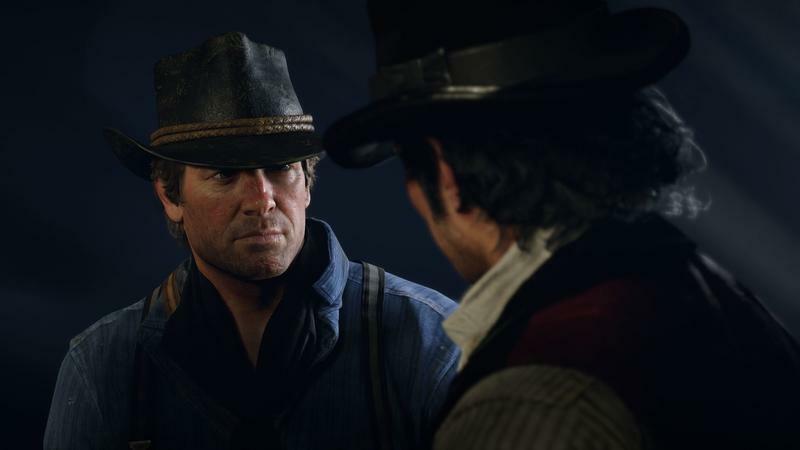 The money you spent on that horse is gone. 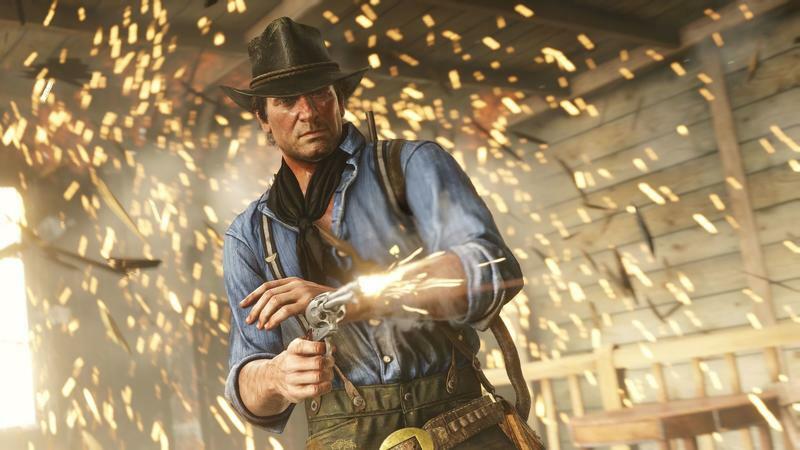 If you thought to buy some Horse Reviver ahead of time, you might be able to save your horse, otherwise all you can do is watch it twitch on the ground in pain. The Neverending Story ain't got nothing on that sensation. 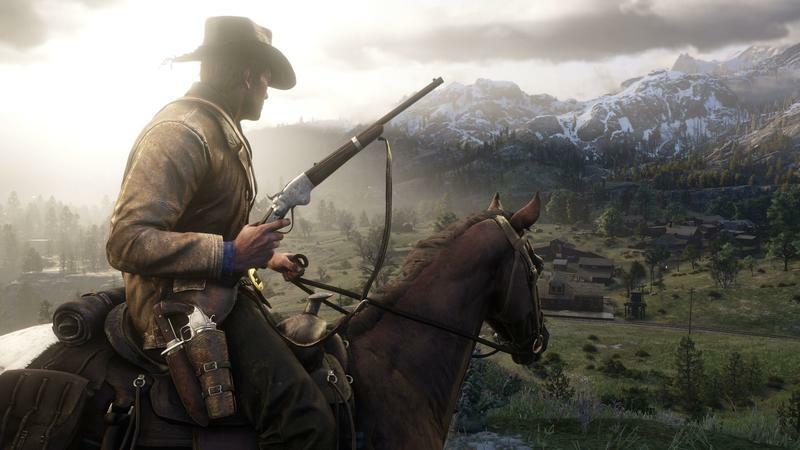 And making money in Red Dead doesn't happen quickly. 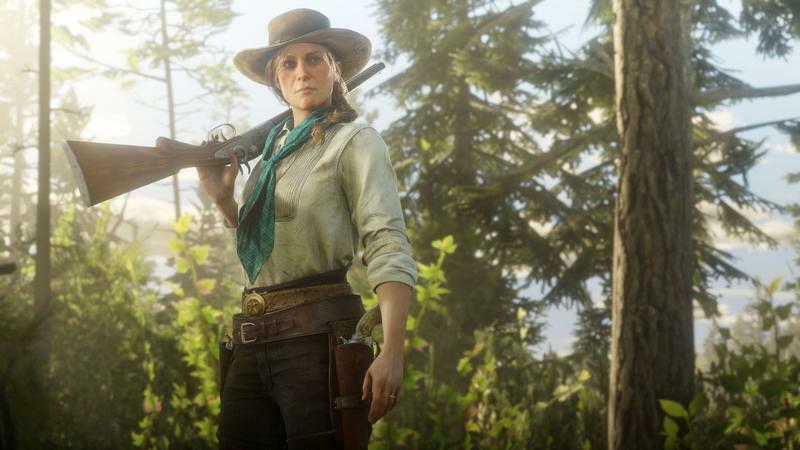 If you spend $150 on a nice horse and then accidentally ride it off a cliff, or you get ambushed by some bounty hunters and they happen to tag Ol' Bessy Lou, that investment is wasted. Or you'll savescum and just re-do a bunch of stuff. 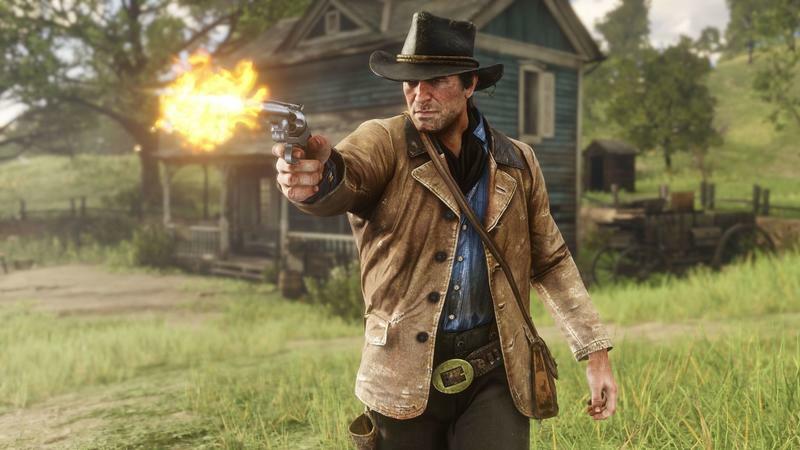 This game desperately wants you to deal with the death of that $150 horse, but it's also willing to take that horse away from you at the drop of well-worn cowboy hat. At every turn, there's simulation, or attempts at simulation. 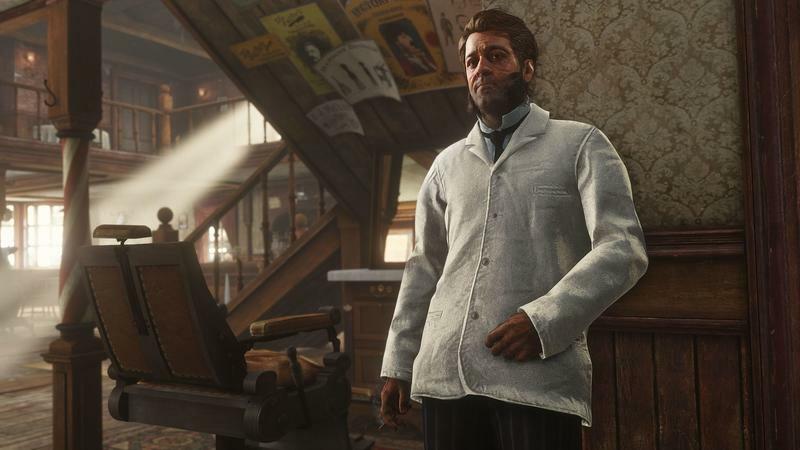 Even just looking at Arthur, we can see what Rockstar is going for here. It's reminiscent of CJ in Grand Theft Auto: San Andreas, but taken to another level. 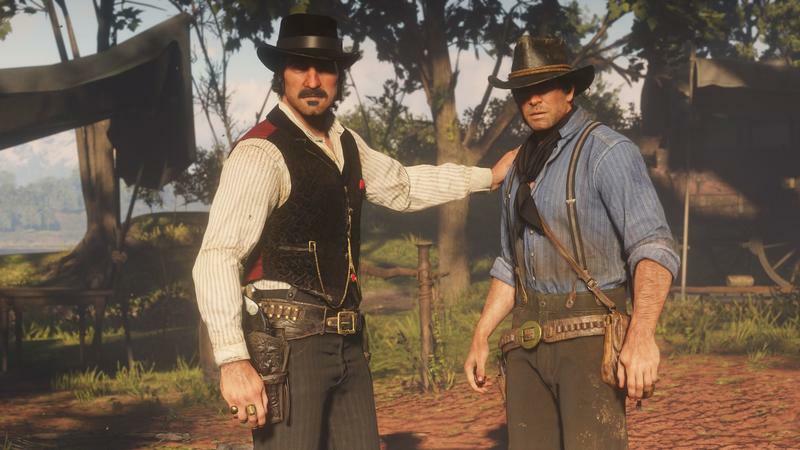 If Arthur eats too much, he'll get fat. If he doesn't eat enough, he'll get skinny. If you roll around in the mud, you get dirty, and the best way to take care of that is to to pay a cool 50 cents for a bath at the nearest town's hotel. 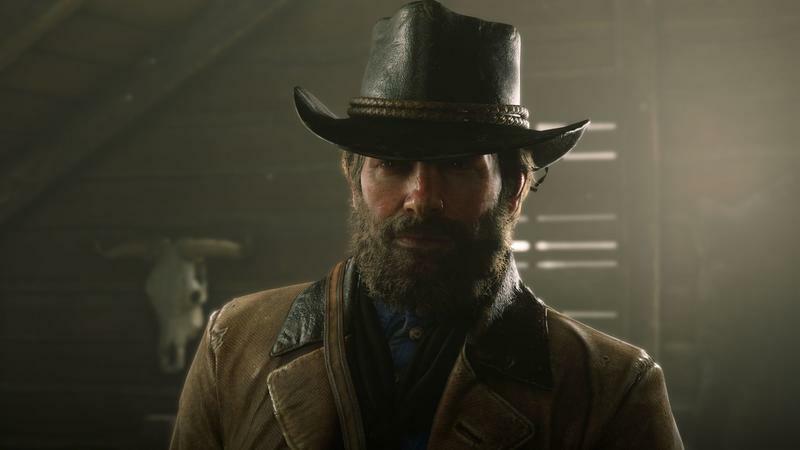 Arthur's beard and hair grow over time and you can let them grow out or cut them down. You can let long hair hang, or you can put it up with pomade. 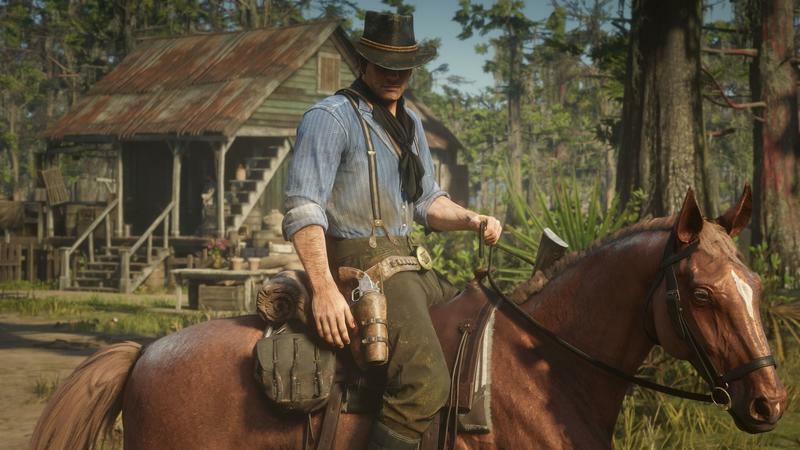 You can dress Arthur in gear for warm, cool, or cold weather, and what you dress in can affect how quickly Arthur's stamina regenerates. A toasty Arthur is a sluggish Arthur when the sun is beating down. 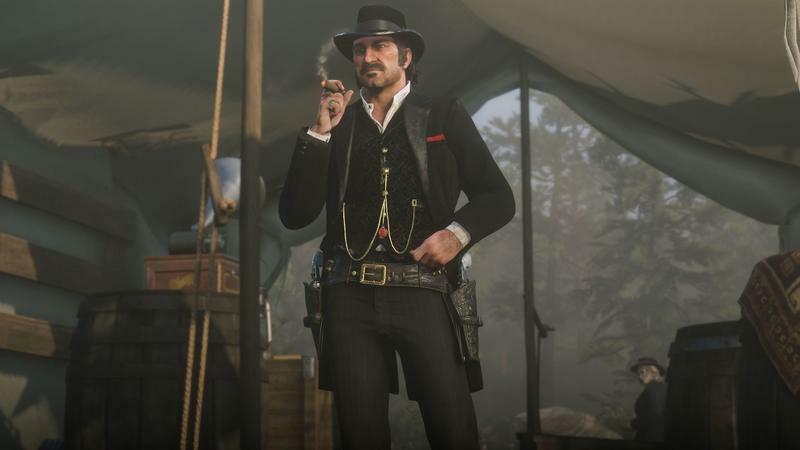 You can't just put on a cool Clint Eastwood poncho and wear that for the rest of the game to live out your spaghetti western dreams, because that's going to be inappropriate gear for some environment or another. 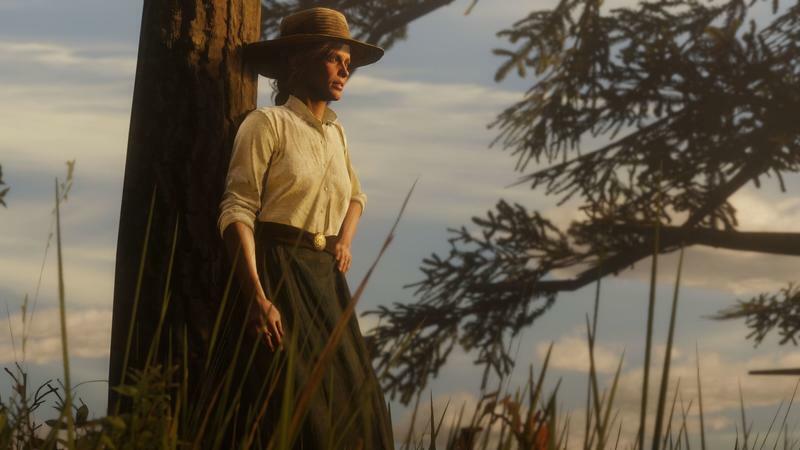 But good heavens is this game stunning. I can't stress enough just how beautiful this game is. I'm playing it on a PlayStation 4 Pro, though I have plans to get it on Xbox One X if possible, too. 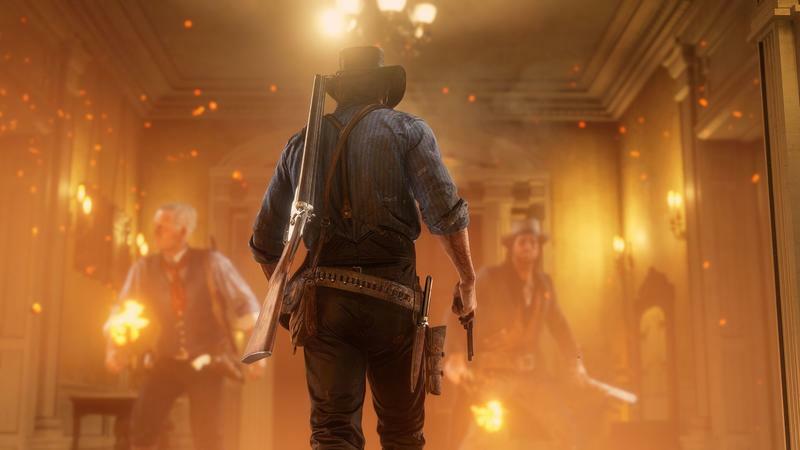 On the Pro, especially with HDR on, stunning barely fits, and even the most beautiful games out right now – stuff like Assassin's Creed Odyssey, Forza Horizon 4, Horizon Zero Dawn – will have a rough time stacking up to the standard set by Red Dead Redemption 2 when compared side by side. 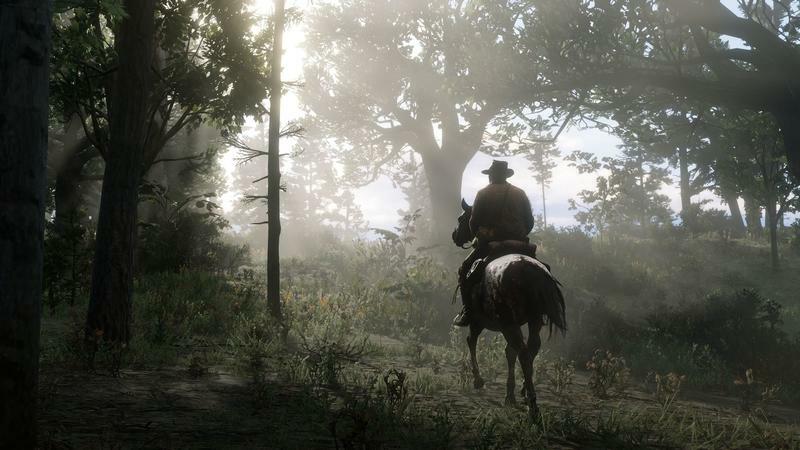 Every shot of nature in Red Dead Redemption 2 is breathtaking. 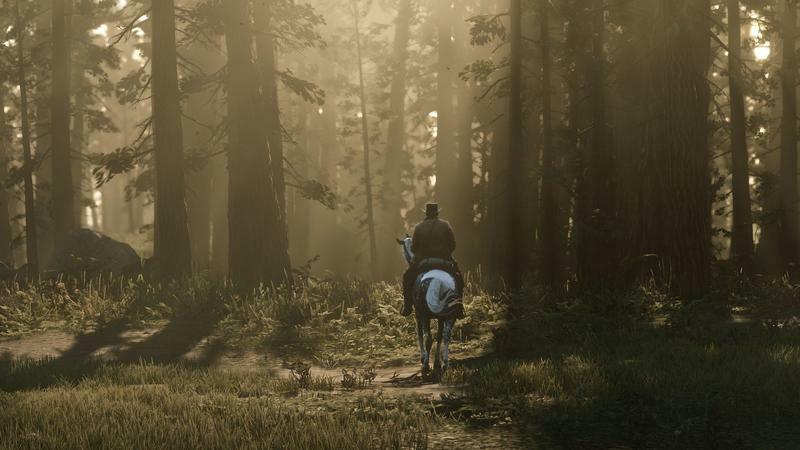 I don't want every game to look realistic like this, but Red Dead makes a good case for itself everywhere I turned. Stepping to the cliff at Horseshoe Overlook, I could watch the sun come up. Riding out into the woods, I could watch deer chow down on leaves. 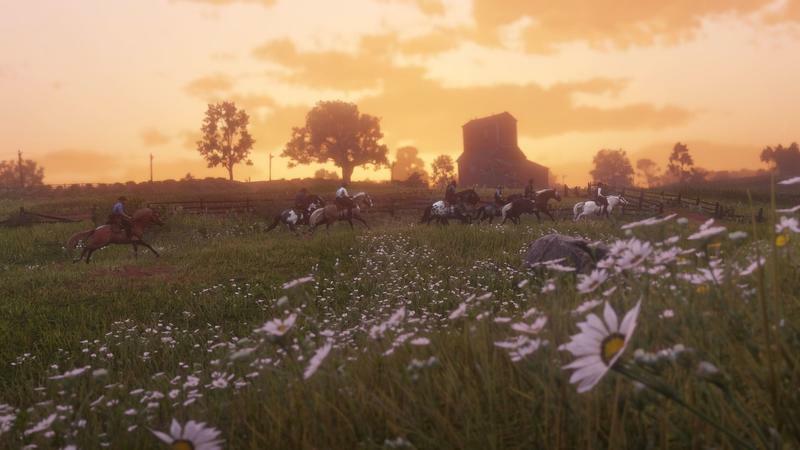 Getting off my horse to pick herbs for my encampment brought me in for a closer look at the flora of the Red Dead world, and even up close it still looks really good. But these opening hours have been not just about experiencing the world, but adjusting my expectations. 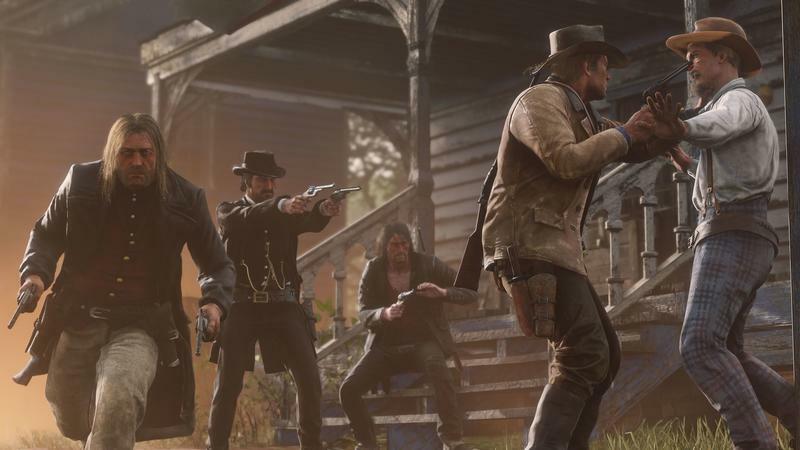 Where Red Dead Redemption was determined to capture the tone and pace of a spaghetti western, Red Dead Redemption 2 has no interest in that. 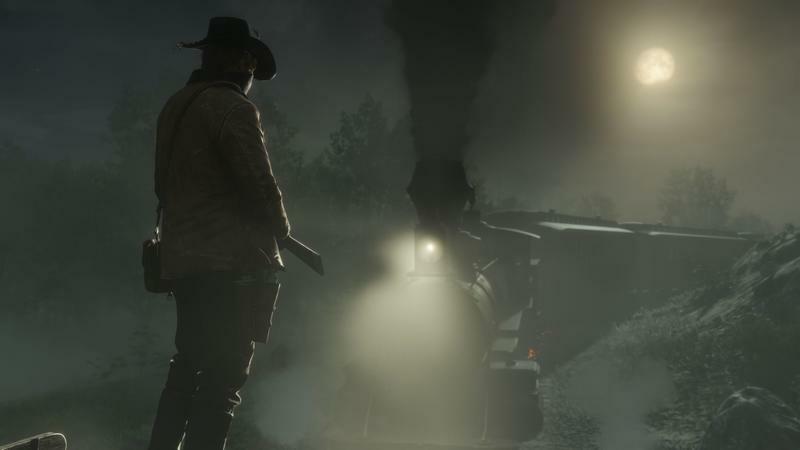 It's not about being in a Western movie, but about living on the frontier as the frontier disappears. The pace and tone of this sequel-prequel couldn't be more different from its predecessor. 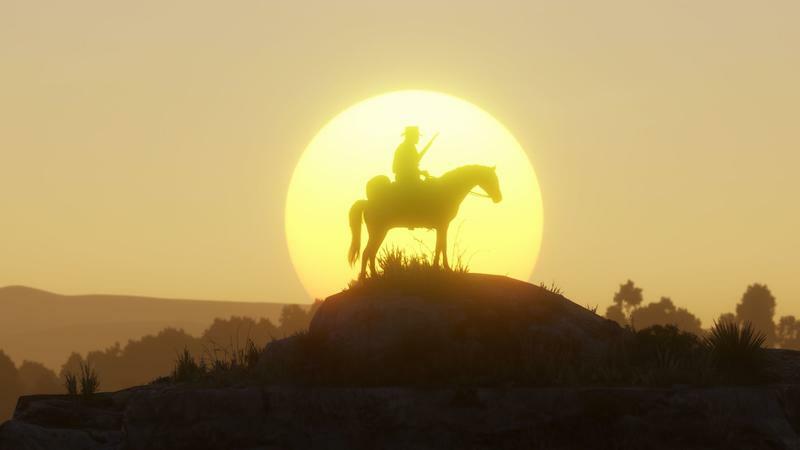 To say that I loved Red Dead Redemption would be a wild understatement. I loved it when it first hit. 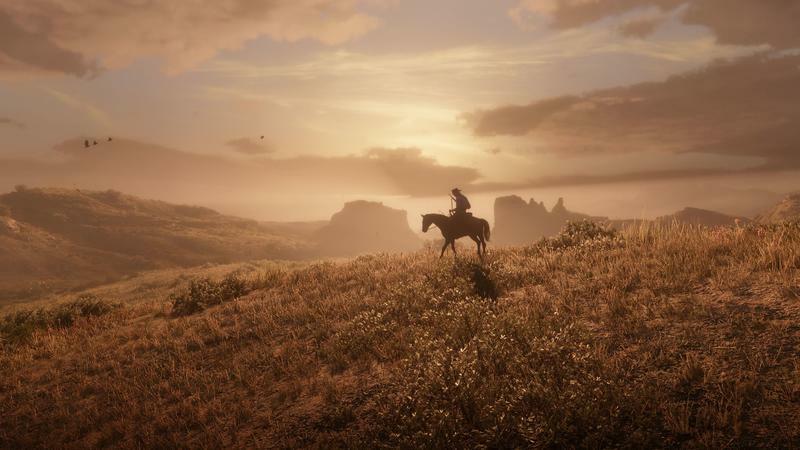 I played it again during a tough time in my life about four years later, and it felt just as good then – it's a game that means a lot to me, and it's one I know well. I loved it in all its game-yness. I loved the style. 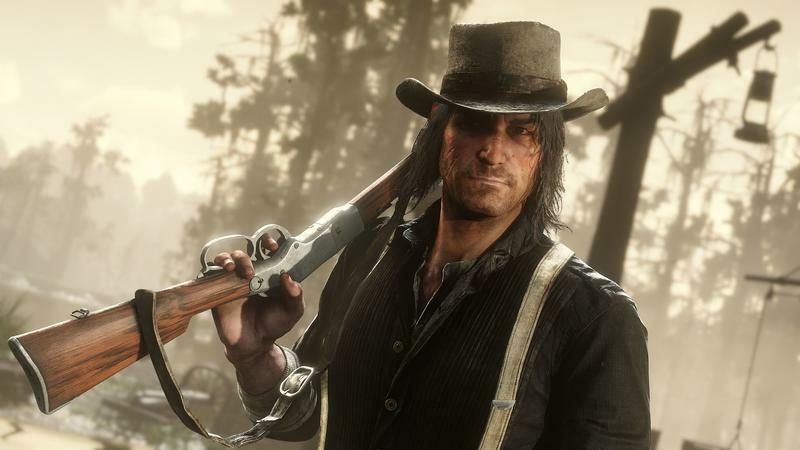 I loved John Marston almost immediately. 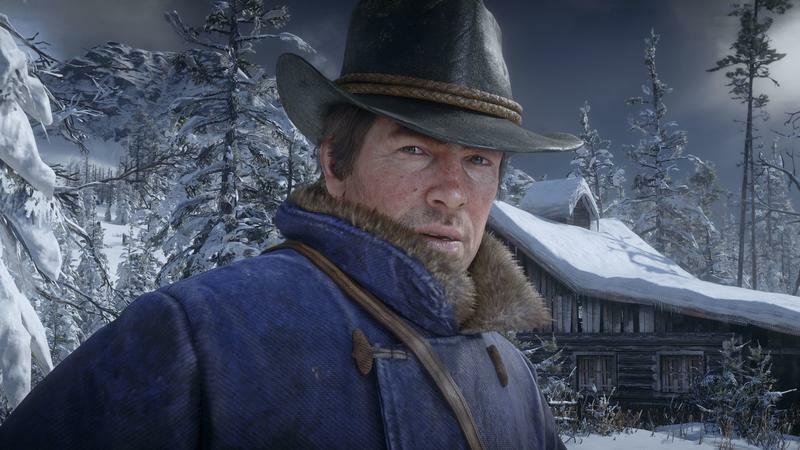 I'm having to get to know Arthur Morgan. He's a burly, dark man who hides deep sadness and exhaustion with the life he's living. He's mean, but he can also be generous. 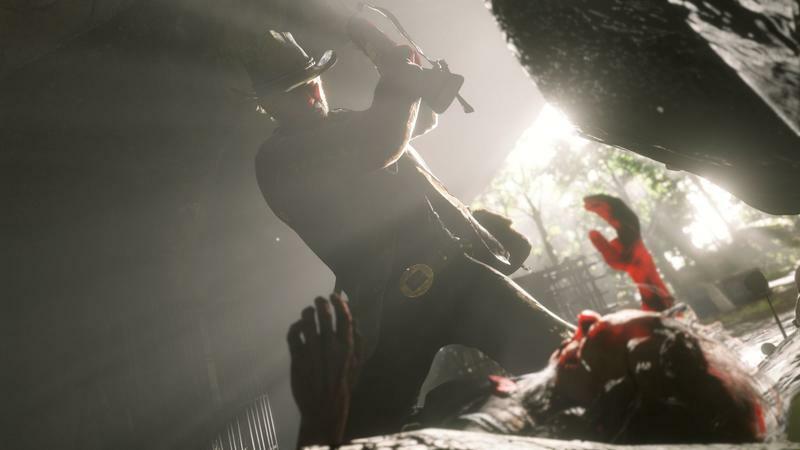 He's caring, but can kill without a second thought. 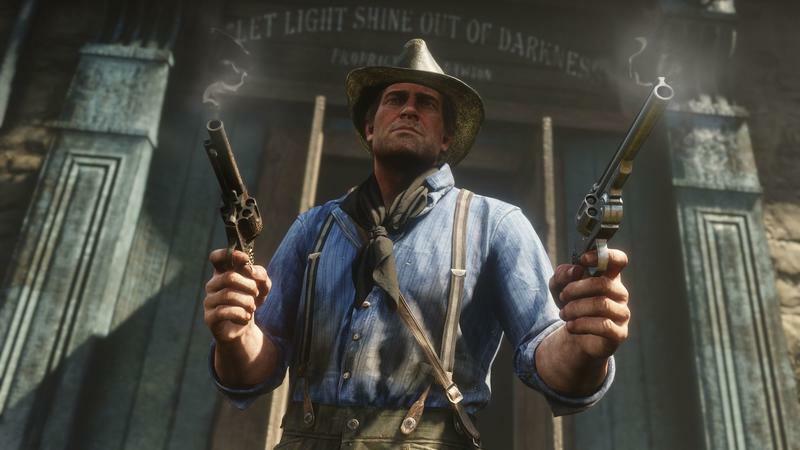 The divide between the Arthur Morgan I find in the story and the one I play as feels greater than the one between John Marston and his story. 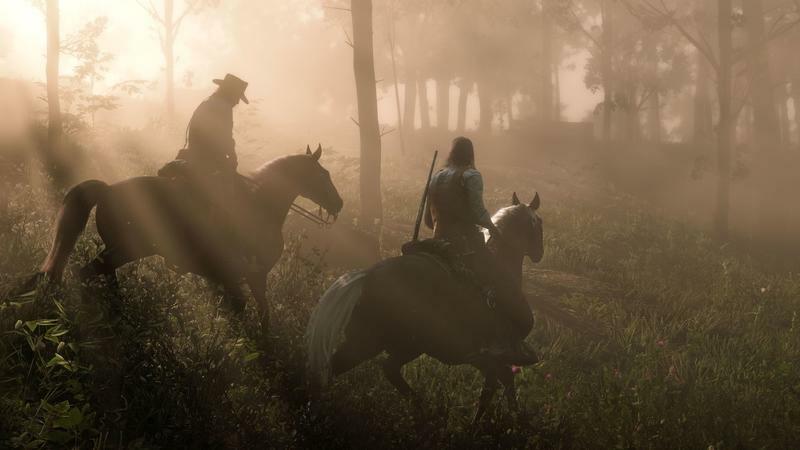 This might sound like I don't even like this game so far, but even just 12 hours in, even with these concerns, I have almost no doubt that I'm going to love Red Dead Redemption 2 when the credits roll. But with a game like this come expectations. 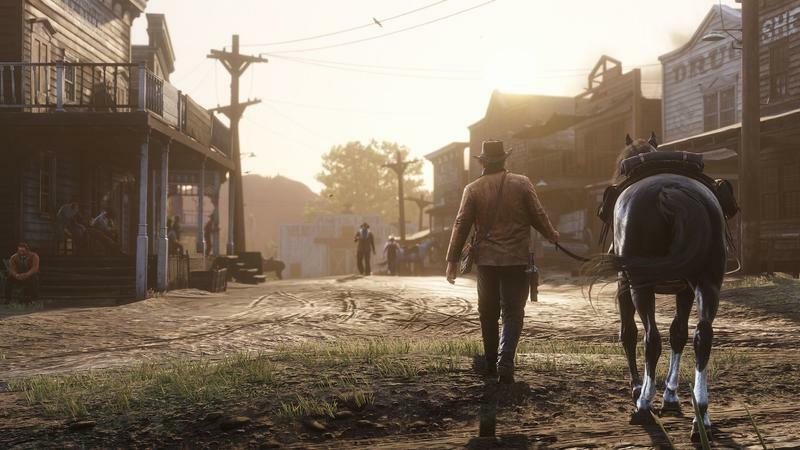 We've had a bunch of modern Grand Theft Auto games, and we have an idea of what to expect when a new one hits. 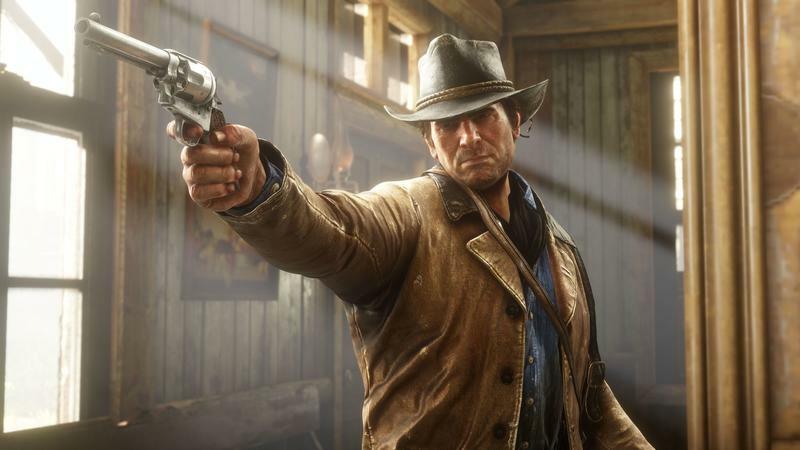 We've only had one one Red Dead game – Red Dead Revolver doesn't count – so the changes feel strange. But this game is packed with "over theres" to visit. Absolutely stunning places to explore. 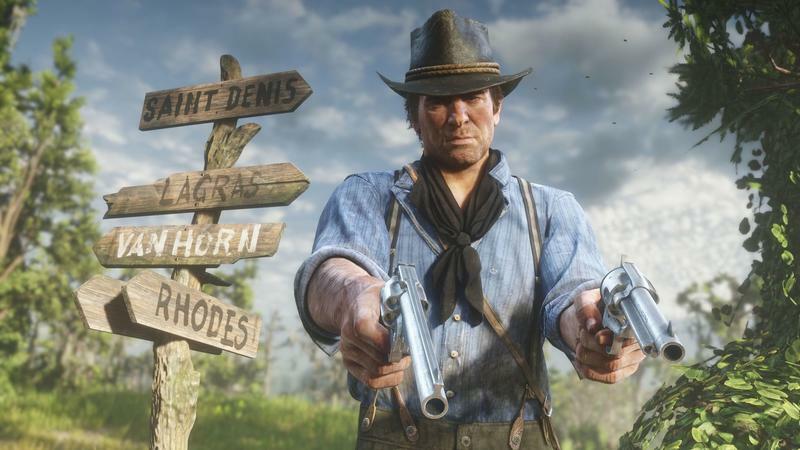 My first 12 hours have been weird, because I have to bury something like eight years of expectations and replace them with the reality of what Red Dead Redemption 2 is, and is going to be. As I continue to explore this world, I want to dive into the different parts of the world and the game. What are the cities like? 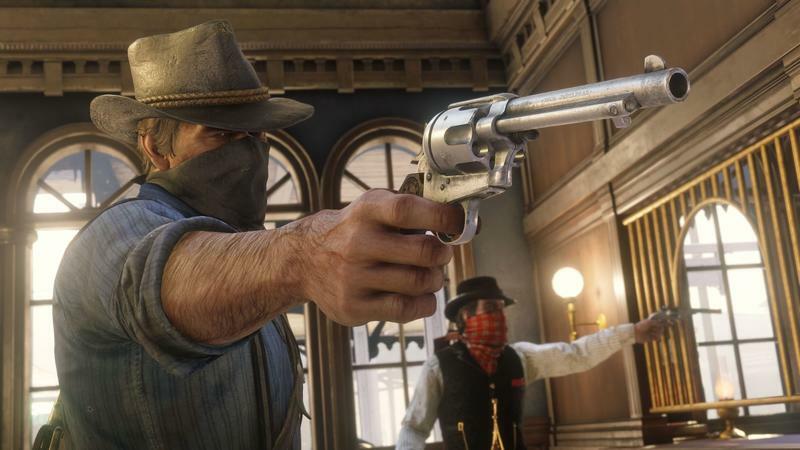 How do gunfights feel? And of course, how is the story? I've barely scratched that last one, so it's tough to say. 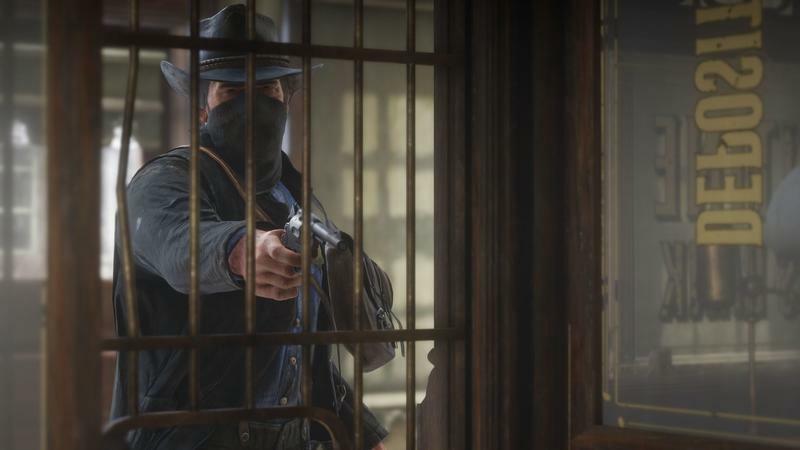 But look for more of our Red Dead Redemption 2 coverage over the next few weeks – we'll have lots of it.